In order to understand branding fully, it is essential that you familiarise yourself with the term ‘brand’. This may sound silly, everyone knows what the word brand means, right? There is so such more to a brand than a logo. Initially branding was only used to distinguish one farmer’s cattle from the other and now we are using the same concept to distinguish our businesses except it is also used to tell a story, build trust and give your products an edge in an ever competitive marketing industry. Brand ~ noun ~ in marketing, the use of logos, symbols, or product design to promote consumer awareness of goods and services. Helps a business differentiate their product/service from another company. It can reinforce a key message. It helps to create a personality and unique identity. It helps you earn a customer’s trust and can encourage brand evangelism. When positioned effectively, it helps a business target a specific audience. Your branding should be so strong that the moment a customer needs a product or service in your area of expertise, your brand is the first thing that comes into their mind. This goal can be fulfilled when you have fully established a strong and consistent brand, therefore, you need will need to have a logo and a colour scheme that will remain at the forefront of your branding for the long run. This also must be easy to distinguish from others who offer similar product and services to you and also really suit what you do as a creative. By creating a consistent brand identity you verify the legitimacy of your business to potential customers each time you interact by email, social media or . For example, when people see the logos of the international brands like Coco-cola or Audi, they instantly identify them by their logos and colors even without seeing the products. The same concept should be applied to your branding by consistency on the logo, font, colors and layout across all the branded materials online and offline. To create a strong relationship between a customer and a brand, a business needs to show up for potential customers 7 times before they buy from you. (See the Rule of Seven for more information on this). During these interactions, consistent branding is so important as it will help potential customers remember you each time. Each interaction will increase their knowledge of your brand and products so if they don’t recognise your brand each time how will they know that you are the same person or business? Always keep this in mind when setting up your social media accounts, designing your website and creating newsletters and printed marketing materials. Think of your website as your own creative playground where you can create a brand that tells your story. 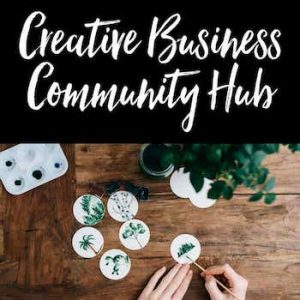 For inspiration on website branding, check out Helen Russell Creations website. Helen’s branding shines through in every aspect of her site which is wonderfully interactive. 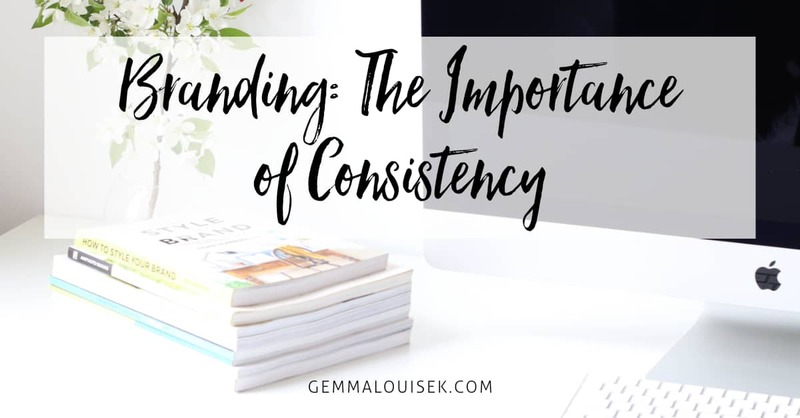 I am not saying that you need to go out there and create a website that has bells and whistles, but staying consistent is going to help you get noticed and most importantly REMEMBERED! If you create an image to share on social media for a blog post, try to use the same fonts each time you create a new image. If you have a specific colour scheme in your branding, look at how you can us it in your photographs. For example, if you are taking a photo for Instagram, you could place an item in there that is the same as one of your brand colours. You can take great inspiration from Instagrammer, @redhongyi who posts images in a certain colour scheme or theme for a while then moves onto another. The result is pretty impressive. Here is a little branding challenge for you so you can get clear on what kind of message you are giving in your branding. Once you have gone through each step post your results in the discussion in the forums and lets review. If not what are you using instead? Does this truly reflect the message you want to convey? Open all of your social media profiles in different tabs in your internet browser. Can you see any obvious differences? Is there an obvious connection between the profiles? If you have a website, can you tell that your website is relatable to your presence on these social media profiles? Look at the logos, the fonts, the style of images being used and the messages you are putting out across your social media channels and through your website. Don’t forget to post your results in the comments. Welcome to my blog. I hope you enjoy reading and you leave this space with some extra inspiration for this beautiful adventure called life.